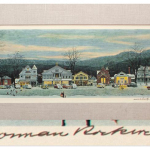 "These are storied objects and works of art for the person on your list who seemingly has everything"
BOSTON--(BUSINESS WIRE)--Invaluable, the world’s leading online marketplace for fine art, antiques and collectibles, today offered a Holiday Gift Guide filled with unique treasures from acclaimed auction houses, galleries and dealers that will create lifelong memories in this season of giving. The guide offers scores of items – including a variety of accessibly-priced fine art prints and works on paper, exquisitely-crafted silver from legendary names like Tiffany & Co. and Faberge, refined porcelain from KPM, Wedgwood, and Sevres, beautiful glassware, jewelry and accessories from the world’s greatest luxury brands, and sports memorabilia from legends whose feats delight us. The Gift Guide features works for sale at renowned auction houses such as Sotheby’s, Freeman’s, Swann Auction Galleries and more, as well as a selection of objects from galleries and dealers ready for immediate purchase – for those who “need it now” and don’t want to wait for the auction. Holiday shoppers can search sellers around the world without leaving home and use multiple personal devices from anywhere at any time. Original works on paper and prints by Pop artists Andy Warhol, Roy Lichtenstein and Jasper Johns, Street artist Banksy, and other works by Sonia Delaunay, Yves Klein, Alexander Calder from Swann Auction Galleries (Nov. 15). 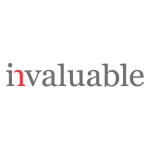 For more information, Invaluable.com or follow us on Twitter at @InvaluableLive.